The eTown Village Center conceptual site plan. A rezoning application shows commercial, multifamily residential and other uses. Retail follows rooftops, and that’s what’s happening with eTown. 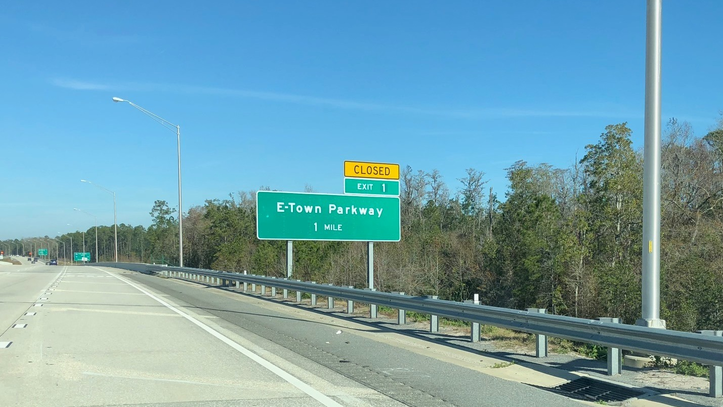 Our Jacksonville Daily Record news partner reports Eastland Timber LLC and E-Town Development Inc. want to rezone 271.4 acres east of Florida 9B at the E-Town Parkway interchange in South Jacksonville. The rezoning would change the Community Commercial General-1 zoning to a planned unit development called E-Town Village Center. Road signs in the area say E-Town but the property is being marketed as eTown. Envisioned is a “compact, mixed-use development” to include office, institutional, commercial, multifamily and recreational uses. 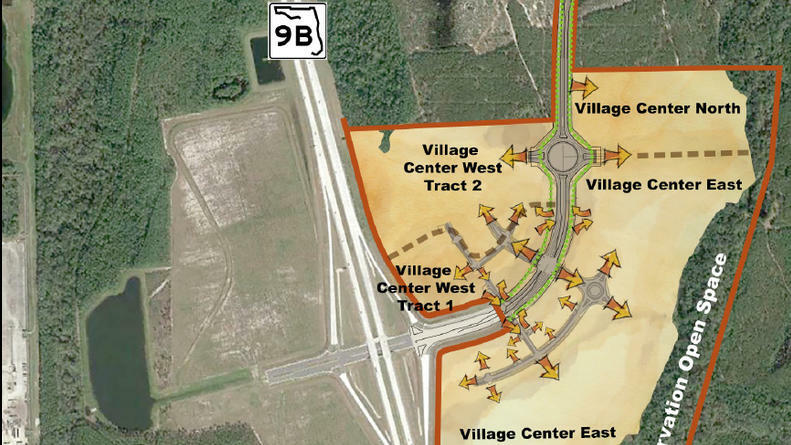 Village Center is shown as three parcels – Village Center East; two tracts for Village Center West; and Village Center North. Access would be provided on E-Town Parkway and through interconnected internal drives and streets. England-Thims & Miller Inc. is the applicant. Public hearing dates were not set, according to the application. The PUD written description is dated June 1. Rezonings require City Council approval. The PARC Group is developing eTown for the Davis family, which owns the land through Eastland Timber. 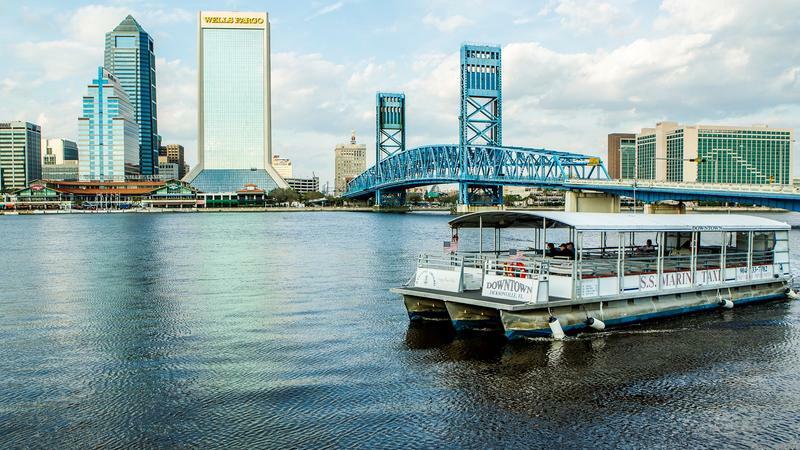 It is rolling out details on its ETownJax.com site. It says eTown will open in 2019. The property primarily is east of Interstate 295 and Florida 9B, with some property to the west. Several residential builders bought land or filed plans for eTown: Catalyst Development Partners for apartments; Dream Finders Homes for townhomes; and, for single-family developments, Toll Brothers and a joint venture of David Weekley Homes and ICI Homes. Pulte Homes also bought property there but has not filed plans. 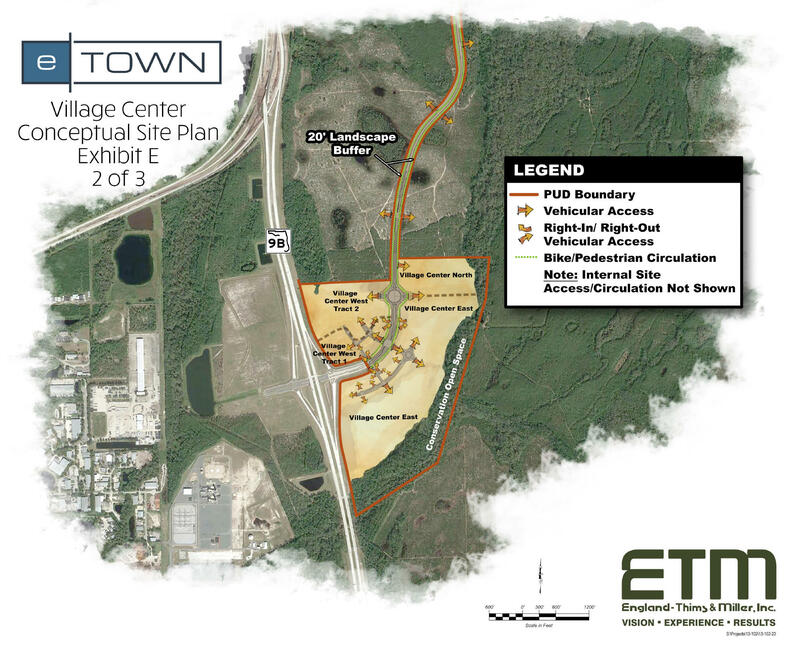 A St. Johns River Water Management District filing shows the 1,478-acre mixed-use eTown will include commercial acreage as well as its focus on residential uses. 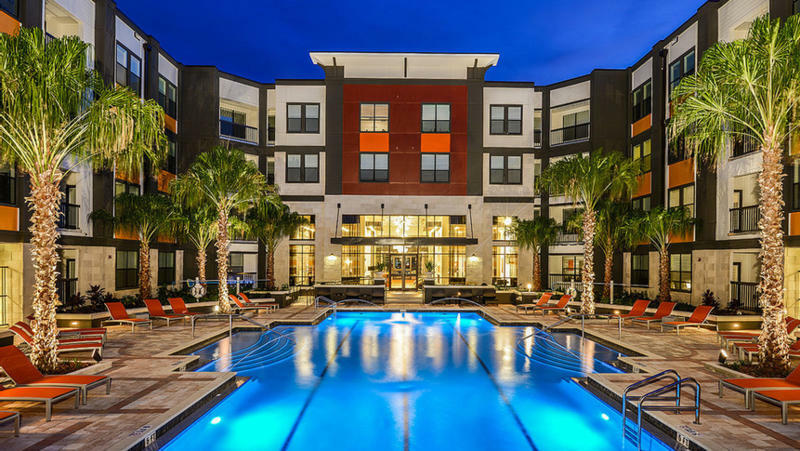 Catalyst Development Partners of Atlanta and Dream Finders Homes of Jacksonville are expected to develop apartments and townhomes at eTown, the Southside community under development by The PARC Group.